The Utah Department of Transportation (UDOT) began working to improve mobility and decrease the high traffic congestion along the I-15 interstate. Part of this roadway improvement endeavor was located in Washington County near Leeds, Utah. The UDOT I-15 MP 20-24 improvements consisted of road widening, culvert extensions, and a mechanically stabilized earth (MSE) retaining wall. 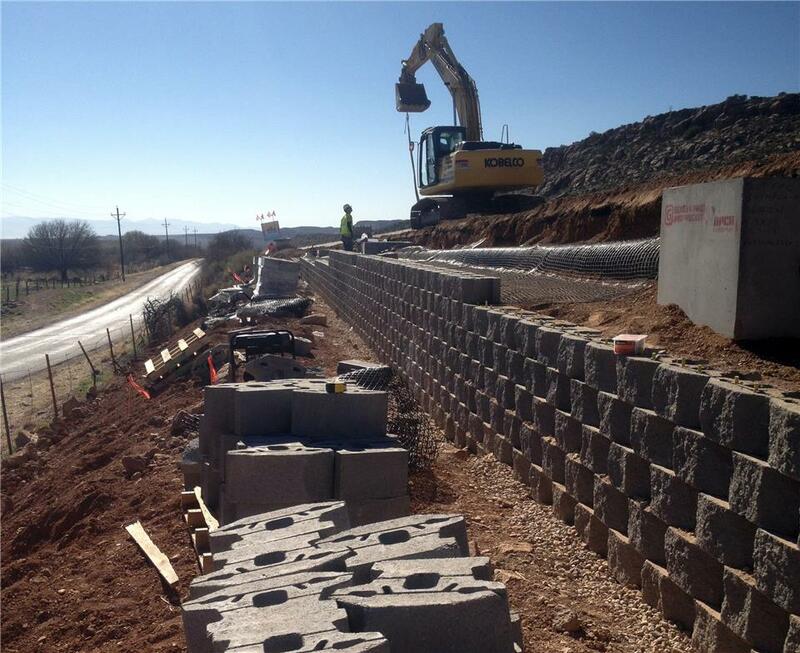 The Keystone® Compac Key System II manufactured by Contech Engineered Solutions was chosen which included a complete wall system of blocks, pins, geogrid, and stamped design. The wall R-729 was approximately 600’ long and about 7’ tall. It runs along the northbound off-ramp on the south side of Leeds. 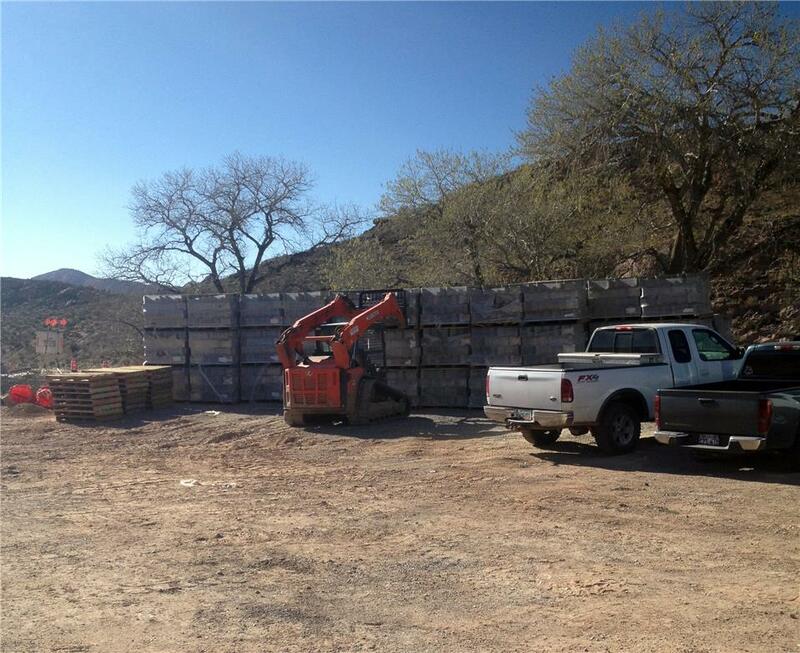 The blocks are 18” wide, 12” deep, 8” high and weigh 82 pounds each. Featuring unrivaled aesthetic options, cost saving versatility and proven wall performance; the Keystone Compac retains its position as the most specified unit on the market. An installer’s favorite, the Compac’s lighter weight and shorter tail design make it easy to handle.